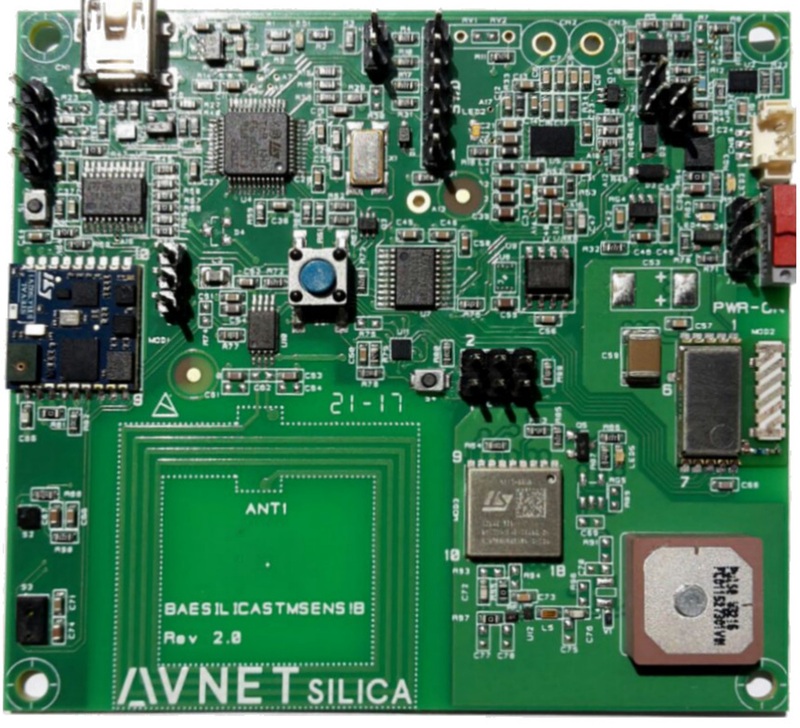 Avnet Silica, an official partner of Arm Mbed, developed an Arm Mbed Enabled™ Sensor Node board delivering the low power operation and secure connectivity required for Internet of Things (IoT), smart sensing and cloud applications. Avnet Silica has combined best-in-class processing, sensing, security and connectivity from STMicroelectronics with the Arm Mbed IoT Device Platform, which provides a complete solution including an advanced OS to run on hardware, device management in the cloud and advanced security. 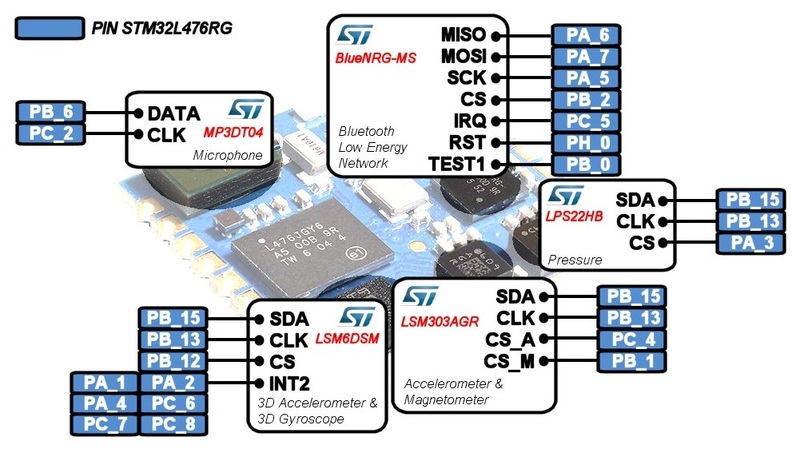 Powered by ST’s ultra-low-power STM32L4 microcontroller, the Sensor Node board enables quick development of smartsensor applications that can make use of several connectivity options. Choices include Bluetooth LE connectivity, which enables an easy connection with smartphones, and sub-GHz 6LoWPAN connectivity for long-range communications. 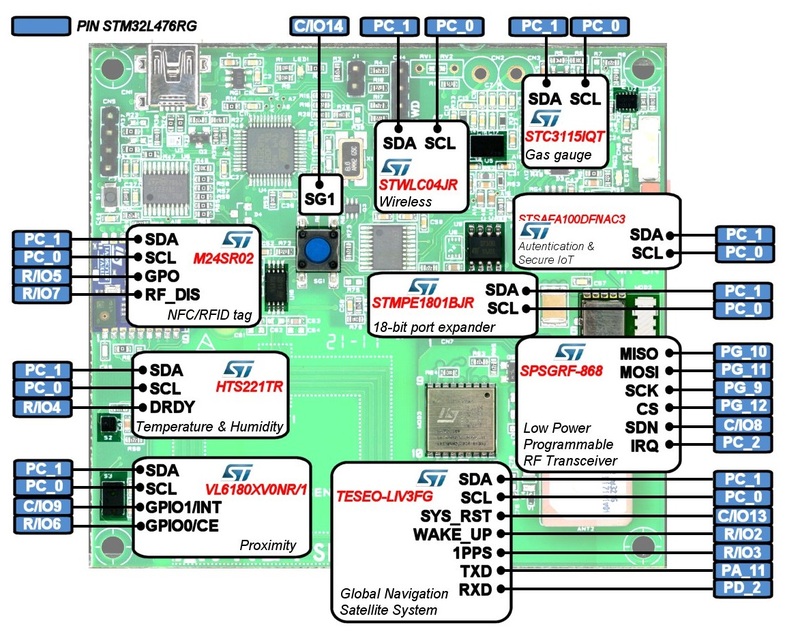 Key hardware on the board includes the highly integrated ST SensorTile module, which integrates the ultra-low-power STM32L4 Arm® Cortex®-M4 microcontroller, plus ST’s very low-power BlueNRG-MS Bluetooth low energy (BLE) single mode network processor and ST TESEO III GNSS receiver, together with a wide selection of ST’s sensing devices like accelerometer, gyroscope, magnetometer, barometer and microphone plus STSAFE-A100, a highly secure solution which acts as a secure element providing authentication and data management services to the local host. The Sensor Node board also offers some additional onboard sensors from ST that provide support for humidity, temperature, proximity and ambient light. In addition to Arm Mbed OS 5, the board also supports STM32Cube middleware and is further supported by software demos and libraries provided for both Mbed OS and STM32Cube. NFC application will be added soon. 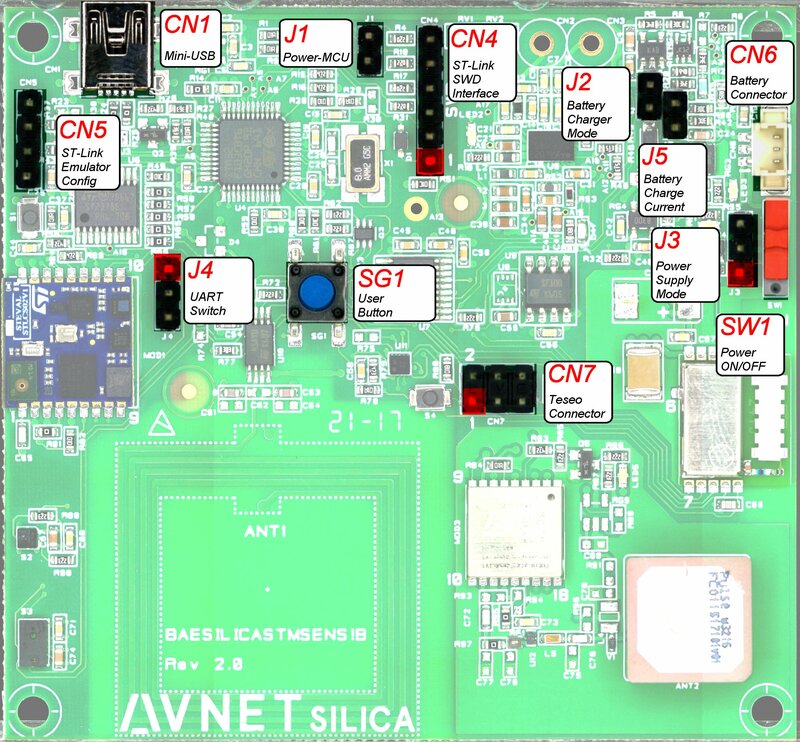 Avnet Silica Sensor Node has an embedded ST-LINK to enable programming and debug. Install the ST-LINK/V2 driver before connecting the Nucleo board to your PC the first time. Follow this LINK for all details. For optimum performances, ensure that the Nucleo ST-LINK/V2 firmware is upgraded to the latest version. Follow this LINK for all details. The following section describes known limitations of the platform. Note that general issues are tracked into the mbed OS repository available on GitHub. To compile a program for this board using Mbed CLI, use silica_sensor_node as the target name. Avnet Silica is the European semiconductor specialist division of Avnet, Inc., one of the leading global technology distributors and acts as the smart connection between customers and suppliers.